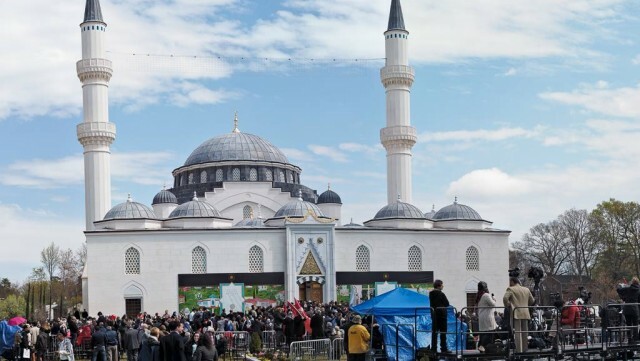 Thousands attended the Commencement Ceremony of the Diyanet Center of America. The campus featuring a 16th century Ottoman architecture mosque cost $110 million and was paid for by the Republic of Turkey. President Erdogan and the Religious Affairs Directorate, Dr. Mehmet Gomez, were among the speakers. Interfaith leaders were among the VIP who met the President and his delegation at a private lunch. Other attendees include Sharif Salim, Community Liaison for the Diyanet Center, who has been working together with the FCAC for over a year; and Cardinal Theodore McCarrick and Rev. Milton Jordan representing the Roman Catholic Dioceses of Washington. You can view images from this event here.